Family photography - THIS is what it’s all about. I love getting to capture real genuine connection, honest laughs, and intense love. It fills my heart and soul to be able to take photos like these! My sessions are FUN and RELAXED! I come prepared with all my tricks for getting kiddos to relax, and for parents to let loose! Because, let’s be honest, we could ALL use a break - an hour’s time where we do nothing but be silly, have fun, and run around with our kids in a big open field. Sessions are booked through May - and I am SO thankful! 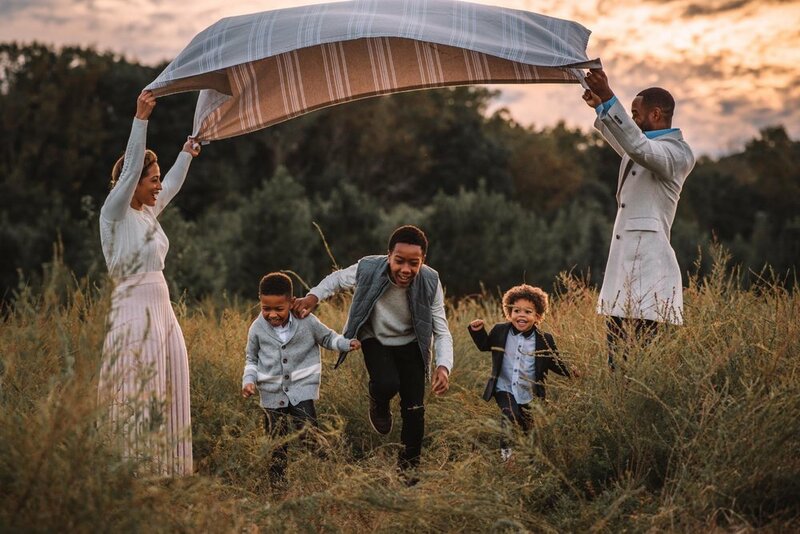 If you are thinking about booking a fun family photoshoot for your family, reach out and let’s chat! How fun is this!? I loved getting the opportunity to photograph Ian’s Bar Mitzvah. Not only were we able to get some awesome photos - they also got this Bar Mitzvah Highlight Video! How cute are these kiddos?! This was my second time photographing these sweeties and it couldn’t have been more fun. We gave the kids plenty of time to run around and play and captured the many sides of their sweet and funny personalities! Also, how awesome are their outfits?! I just love the pop of yellow! It’s rainy and cold today so I can’t help but smile when I look back at these images from one of the funnest sessions this year! This was a special session for a few reasons - 1. It was my last fall session of 2018, and 2. They were one of the first families I had photographed after starting my business. These two little girls are some of the sweetest kids I’ve ever met! Check out some of the photos from our session below!